At the height of the Cold War it was Britain’s V-Force and its Valiant, Vulcan and Victor bombers that carried the UK’s nuclear deterrent from the mid Fifties until the end of the Sixties. Their nuclear arsenal included not just freefall bombs but far more advanced weapons such as the Blue Steel stand-off missile. Blue Steel was intended to form the basis of many extremely advanced projects, such as the Z.101 research aircraft which would have given Britain the global lead in aerospace and weapons technology. 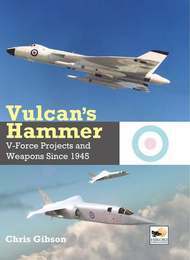 Vulcan’s Hammer describes the development of these advanced weapons and the aircraft that were intended to carry them and examines the post-war alternatives to the Vulcan, Victor and Valiant whilst outlining the aircraft that were to replace these types, such as the Avro Type 730, English Electric P.10 and Vickers SP.4. Supporting types such as the Bristol RA.6 reconnaissance and Avro unmanned vehicles are also described for the first time. 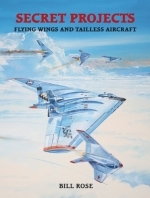 The US Skybolt missile prompted a number of projects including the Vulcan Phase 6 and Handley Page HP.114 Victor developments, while research into laminar flow control technology saw Handley Page’s HP.117 high-efficiency flying-wing airliner studies proposed as a Skybolt carrier. The surprise cancellation of Skybolt also led to re-examination of the role of TSR.2. Vulcan’s Hammer also considers Avro’s Weapon Research Division’s work on improving Blue Steel and its further development into a research type for Britain’s aerospace industry, with the aim of providing hypersonic aircraft and satellite launchers. 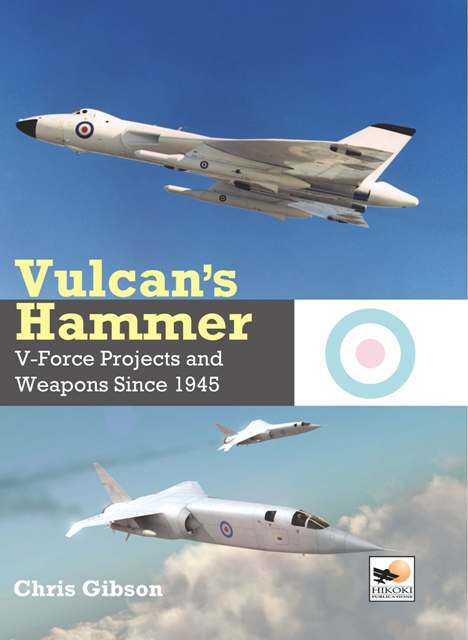 Illustrated with over 200 photographs, general arrangement drawings and specially commissioned artwork, Vulcan’s Hammer presents the story of an alternative V-force.